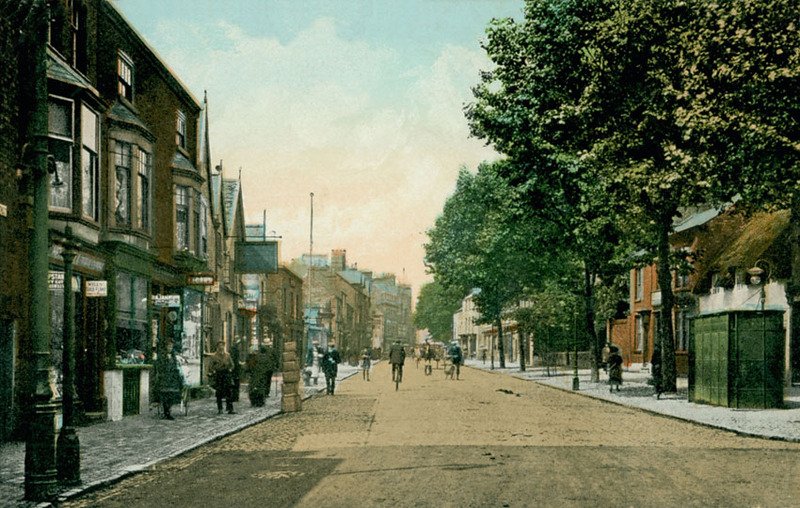 An Edwardian view of Sherrard Street looking towards the town centre. The green structure on the right is one of the town’s public urinals, placed just outside the Methodist Church. It was said that church-goers could look down into it from the top of the chapel steps! Approx date: 1905. Image ref: MM0209.